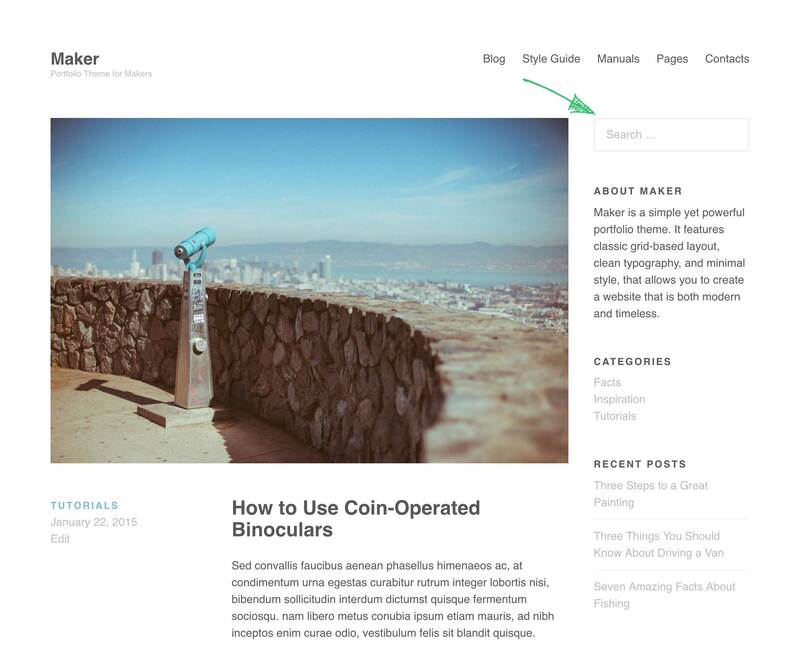 Maker supports one widget location in the sidebar. It appears on the Blog Index page and Default page template if it has widgets. Sometimes it is necessary to hide specific widgets on selected pages. To do that use Widget Visibility module that comes with Jetpack. With this module enabled, you’ll be able to create rules for each widget and control on which pages it should appear.